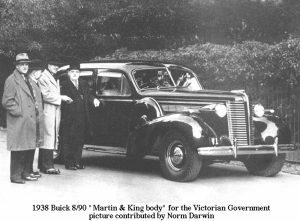 Built to the special requirements and specifications of the Victorian Government for use of the Premier and official occasions, this very hansom 1938 8/90 Buick Sedan is the largest model in the Buick series, and the only one of its design in Australia. 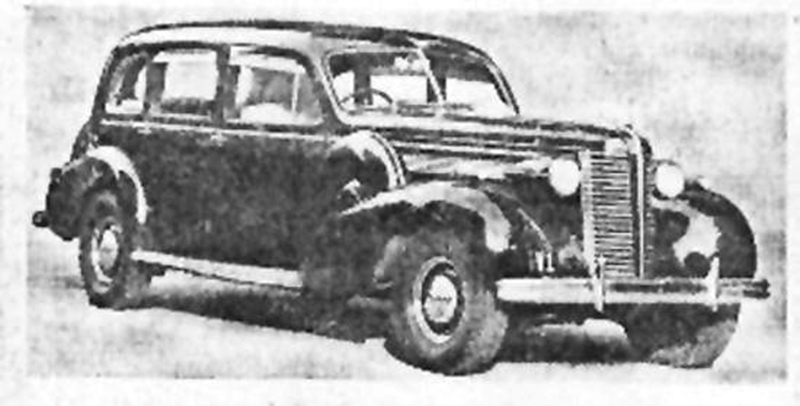 The chassis, which was imported by Preston Motors Pty. 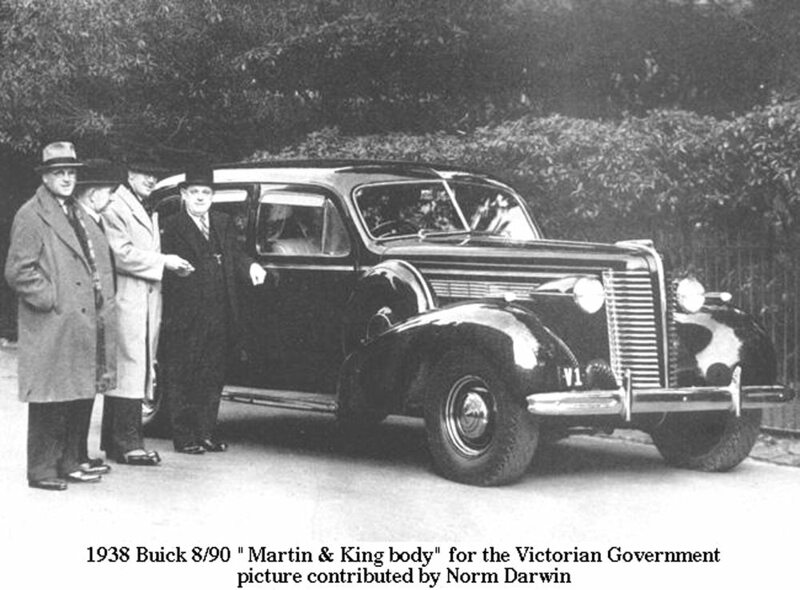 Ltd., from General Motors Canadian BUICK Factory, is a replica of that recently purchased by the Duke of Kent. The body was designed and fabricated by Martin & King Pty. Ltd., of Malvern. Its construction includes extremely comfortable seating for eight passengers, built up of springs, sponge rubber and down, covered in soft crushed hand-buffed chrome leather. The front seat is easily adjustable, and extra space has been provided between the rear and front seats to give ample leg room to passengers using the occasional seats which are recessed in the back of the front seat. Ample provision has been made for ceremonial occasions when top hats are the vogue. 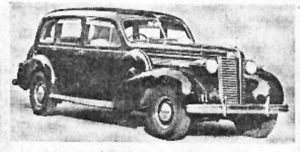 The all-steel Australian body has been well insulated against noise, and the doors are extra large to give easy access to the car. Provision has been made to use the car as a mobile office, with reading lamps arranged to permit working at night without glare. Clocks are fitted in front and rear compartments, and a radio is fitted into the dash. Safety and convenience for long distance travel, and a very capacious luggage compartment are provided. The body exterior is finished in metropolitan blue, with fawn interior trimmings, offset by walnut polished cappings.